Esports, and other games : Where MSSA's Protea Esports Team will be accommodated. Where MSSA's Protea Esports Team will be accommodated. 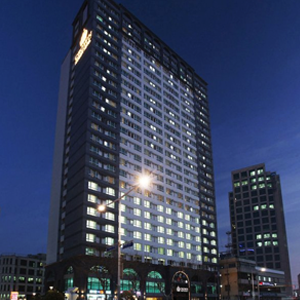 Crown Harbor Hotel Busan, located in the Jungang-dong area of Busan, is the largest hotel in downtown Busan. It has recently entered the limelight due to the North Port (Bukhang) redevelopment project and the old downtown regeneration project. The gold and brown interior décor makes this 500-room hotel more home-like and cozy for families, couples, business travelers, and tourists. It is conveniently located near Busan Station, Busan Passenger Terminal, and Gimhae International Port. It also operates a coastal shuttle bus that stops by Haeundae Beach and Gwangalli Beach. The four star hotel and in close proximity to the venue for IeSF's 9th World Championships - Busan, being the International Passenger Terminal Convention Center, which makes it a perfect to accommodate South Africa's Protea Esports Team.